Joining our STAR staff is an amazing opportunity for the summer. Available positions are listed below. 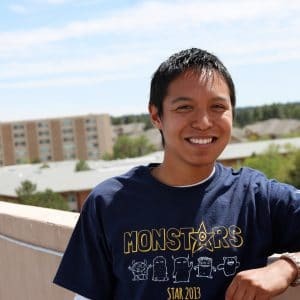 Program Assistants have the opportunity to be a mentor and connect with first generation NAU students not only on an academic level, but also helping them transition and get acclimated to the campus culture. Program Assistants live in the residence halls, program social/academic events, and create inclusive communities that will help challenge and engage STAR student participants. You will have an opportunity to lead, develop, and engage with incoming first generation NAU students. This program is designed to help students transition to NAU in order to set them up for success in their first year of college.